North Korea's rubber-stamp legislature will convene the first meeting of newly elected deputies early next month, state media reported Friday, amid speculation leader Kim Jong-un could be given a new title or seek other changes to the power structure at the session. The Supreme People's Assembly will meet on April 11, the Korean Central News Agency reported. It will be the first time the legislature will have met after 687 new deputies were elected in nationwide polls earlier this month. Leader Kim was not among the new deputies, an unprecedented move that prompted speculation about why he decided not to take a parliamentary seat. Both of his predecessors, grandfather Kim Il-sung and father Kim Jong-il, served as SPA members while they ruled the country. 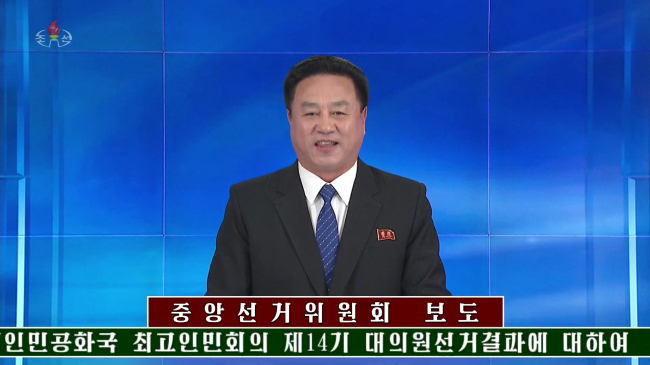 A high-profile North Korean defector, Thae Young-ho, said Kim could try to amend the constitution to become the country's official head of state. Other analysts said the decision could mean Kim is trying to project himself as a leader of a normal state where the executive and legislative branches are separate. This year's meeting is also drawing keen attention as the North could unveil its policy on its nuclear and missile programs following the collapse of Kim's second summit with US President Donald Trump in Hanoi last month.